This is your chance to win a VIP trip to CAPE TOWN with MTN Joyous Celebration!! 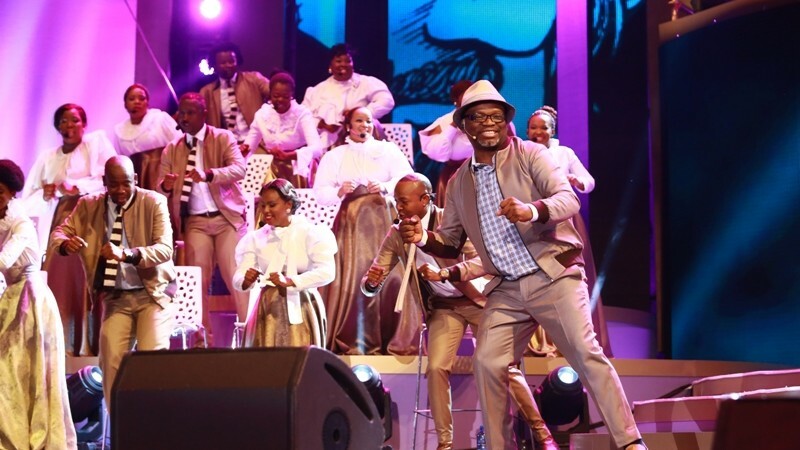 MTN loyal customers and MTN Joyous Celebration fans stand a chance to win an all expenses VIP trip to a glorious praise and worship experience as the multiple award-winning ensemble records its 23rd live DVD in Cape Town. The Mother City hosts next month’s much-anticipated live recording for the first time in exactly a decade from 13-to-15 December at the Cape Town International Convention Centre (CTICC). All Joyous fans and MTN customers need to do to set themselves up for this rare opportunity is to recharge with R30 until 4 December. Mapula Bodibe, MTN South Africa’s Executive for Consumer Business said this was their exclusive way of connecting customers and fans to their passions. “We always have our loyal subscribers and dedicated MTN Joyous fans in mind and this time, we are presenting them the opportunity to win this all-expenses trip to Cape Town to be a part of what will definitely be a memorable recording. Over the last months, two loyal MTN subscribers and MTN Joyous enthusiasts – Thobile Khoza from Soweto and Sihle Sowazi from Mthatha – won all-expenses paid trips to a lifestyle and music festival in New Orleans, USA next year. The two will each take a partner along to New Orleans. MTN customers and MTN Joyous Celebration followers in Cape Town also have the opportunity to meet their favourite choir members on Wednesday, 12 December 2018 at Khayelitsha Mall in Cape Town, between 14:00 -16:00. MTN is Africa’s largest telecommunications network provider and has significantly invested to enhance its network coverage and quality in the last few years. Its investments are bearing fruit with considerably reduced dropped calls, and faster internet download speeds. MTN is well positioned to give multitudes of MTN Joyous Celebration and music fans who will be at the MTN Joyous Celebration 23 Live DVD recording a distinctive customer experience. “All of this is a demonstration that we are not only rewarding fans and our wider MTN family with electrifying music events, but we are also living up to our promise of providing the best network to our customers as well as brightening the lives of local gospel music fans with this exclusive and once in a year experience,” Bodibe added. Tickets to the exclusive live recording of Joyous 23 are available at Computicket and Shoprite/Checkers outlets starting from R260 per ticket. Website: Joyous.co.za; Twitter: @JoyousSA; Facebook: MY Joyous Celebration. Hashtags: #MTNJoyous.